Preeclampsia can strike at any time during pregnancy. With the due date of her child more than two months away, Chloe Maher was told some shocking news: she'd developed a dangerous condition called preeclampsia and the baby would be born in the next few days. "I was in shock," Maher told The Huffington Post Australia. "I'd been having chest pains but I didn't know it was so serious until they told me about the risks." There has never been a treatment for preeclampsia and its estimated to kill 76,000 women worldwide each year. Yet promising new Australian research published in journal Hypertension shows an unrelated tablet used to treat gastric reflux is miraculously countering the effect of the condition in early tests. 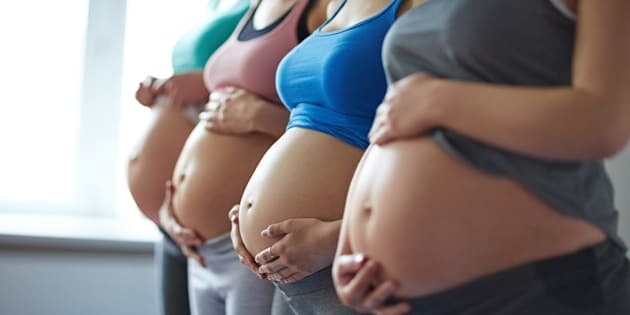 Pregnant women are affected by preeclampsia when their placenta releases toxins that spread throughout the body, attacking blood vessels and organs. It can cause blurred vision, dangerous fits, brain bleeds, organ damage and death. It's not known what causes it and there is currently no treatment, meaning babies must be delivered and the placenta removed for the mother to recover. In Australia, the condition accounts for 15 percent of direct maternal mortality and 10 percent of perinatal mortality. The study, led by the Translational Obstetrics Group based at Mercy Hospital for Women in Melbourne, shows cheap, safe drugs called proton pump inhibitors have the curious ability to stop toxins being released from the placenta, stopping the condition in its tracks. Lead researcher Dr Natalie Hannan told HuffPost Australia the treatment could save lives. "Babies are often born severely premature due to preeclampsia," Hannan said. "If we can give them a few more weeks inside mum, that can mean life or death. Buying an extra week or two can be the difference between whether they'll have difficulties breathing or not, or blindness." The team is currently recruiting for a study of 120 women in South Africa with plans to do an Australian trial shortly. "It's a simple, off-patent treatment that is able to be quite cost effective," she said. "For less developed countries that don't have have access to antenatal or perinatal care, it presents a big advance." Little Kalijah was born at 31 weeks and is doing well. As for Maher, she was induced the day after she got her diagnosis. "From the moment they ramped up the drip (of hormones to bring on labor), he was born about 26 minutes later," she said. "I remember seeing his little face, dad cut the cord and he had a little cry and then he was taken away." Baby Kalijah is one week old today and breathing with some help. "It's amazing what they do here at the hospital," she said. "If this treatment works, it will mean women don't have to go through the frightening experience I did."